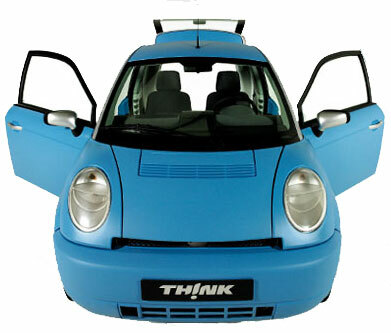 Another product innovation company, TH!NK is just a fantastic Norwegian company whose time has come. The green cousin of the SMART car… that’s how I think of it. CEO Jan-Olaf Willums says that this car is coming WIFI enabled, with insurance, and most importantly, with no carbon emissions. Sounds great! This is destined to be the iPod of cars – everyone will want one, just to be cool, if nothing else. Heck, this is what China and India need as well, not more pollution causing tin-can cars. Speaking from personal experience, one of the hardest lessons to learn in business (and sports) is when to shut up. The latest example? Hope Solo’s venting at a press conference after the disastrous US loss to Brazil in the 2007 World Cup. Sure she’s right. The coach was a fool. Like most managers who get in above their heads, he tried to play safe soccer, opting for a risk-averse strategy of experience over youth. How many times have we seen talent getting squelched in the business world thanks to bureaucracy? It’s an old story. The right thing to do would have been to shut up. Let your racket do the talking, the Aussie tennis players used to say. And they’re right. Sometimes the best thing to do is shut up and let your actions do the talking. In business, the best way to get back at an incompetent manager is not to quit, but to let your work do the talking for you. Your manager will be fired soon enough. And if that fails, find another job – within the same company, if possible. And failing that, try another company. Sometimes even that’s not enough. That’s when you have to become your own boss. 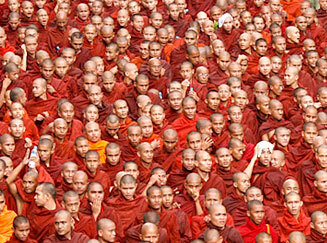 This is not the first time that Buddhist monks have stood up for human rights. Remember this? I don’t, but it helped turn public opinion in Vietnam. Meanwhile, there are reports that the army has turned against itself. I hope they are true. Burmese bloggers are being disconnected as the country descends into chaos. Product innovation and commercialization businesses (PIC) – businesses that focus on developing innovative new products and services, getting them into market quickly and accelerating adoption of the products – think of semiconductor firms operating without their own fab facilities as relatively pure play examples of these businesses. I love product innovation businesses – in some ways they are the best hope for the creative individual because they are by very nature more entrepreneurial and performance-based. Take a look at Germany’s Q-Cells AG. Their focus is simple: develop, produce and sell high-performance solar cells. The goal? To drive the photo-voltaic industry to competitiveness. Don’t forget to check out the Solar Taxi! The end of the world has been anticipated many times and has never come, of course. And it won’t come this time either. We need not fear for our planet. It was here before us and most likely will be here after us. But that doesn’t mean that the human race is not at serious risk. As a result of our endeavors and our irresponsibility our climate might leave no place for us. If we drag our feet, the scope for decision-making — and hence for our individual freedom — could be considerably reduced. Maybe we should start considering our sojourn on earth as a loan. There can be no doubt that for the past hundred years at least, Europe and the United States have been running up a debt, and now other parts of the world are following their example. Nature is issuing warnings that we must not only stop the debt from growing but start to pay it back. There is little point in asking whether we have borrowed too much or what would happen if we postponed the repayments. The Issue is a non-partisan blog newspaper that provides a window to an emerging world of diverse and informed opinions. We cull the blogosphere for its wise insights, probing analyses, and diverse perspectives, drawing together a borderless newspaper. By combining the democratization and diversity of new media with the format and editorial standards of traditional news, we hope to offer a hybrid news source that provides the best of both worlds. Now I don’t usually believe anyone who says they’re non-partisan (all the Republican attack sites do this), but I do understand the concept. In essence, this is a very valuable function, one that delivers real value to the busy reader. I think we’re about to see a flood of these blog aggregators in the marketspace – many of them tightly focused on niche topics. The news media is actually fairly weak at blog aggregation, even though it’s a technique which could help them drive traffic and revenue. Especially if they’d embed videos. I always warn my clients that taking a half-baked product to market will actually do more damage than good. Now let’s see if the same applies to nation-branding. The Olympics will focus the media spotlight on China. But will China actually enjoy the focus? Will the Olympics help or hurt brand China? The hurt has already begun. – An internal, unpublicized report by the Chinese Academy of Environmental Planning in 2003 estimated that 300,000 people die each year from ambient air pollution, mostly of heart disease and lung cancer. An additional 110,000 deaths could be attributed to indoor air pollution caused by poorly ventilated coal and wood stoves or toxic fumes from shoddy construction materials, said a person involved in that study. – Another report, prepared in 2005 by Chinese environmental experts, estimated that annual premature deaths attributable to outdoor air pollution were likely to reach 380,000 in 2010 and 550,000 in 2020. – A World Bank study done with SEPA, the national environmental agency, concluded that outdoor air pollution was already causing 350,000 to 400,000 premature deaths a year. Indoor pollution contributed to the deaths of an additional 300,000 people, while 60,000 died from diarrhea, bladder and stomach cancer and other diseases that can be caused by water-borne pollution. An official study to estimate the environmental cost of China’s runaway economic growth was shut down prematurely. Nation Branding 101: Embrace reality.